You can see both shows with one ticket. Tickets for this show can be bought via www.tix.is for 3900 ISK or at the reduced price of 2500 ISK for the unemployed, students, artists and pensioners. This show is also included in the five show festival pass – more info at www.tix.is. Sunday Double Bill with Iceland Dance Company's WHAT A FEELING by Halla Ólafsdóttir and Lovísa Ósk Gunnarsdóttir in collaboration with the dancers of IDC and THE VALLEY by Inga Huld Hákonardóttir and Rósa Ómarsdóttir. What a feeling premiered in May 2016 as a part of Iceland Dance Company's performance evening Persona. Aðalheiður Halldórsdóttir, Iceland Dance Company dancer, received the Icelandic Performing Arts Award (Gríman) 2016 for best performance by dancer for her solo in What a feeling. The Valley premiered in RDF in November 2015. 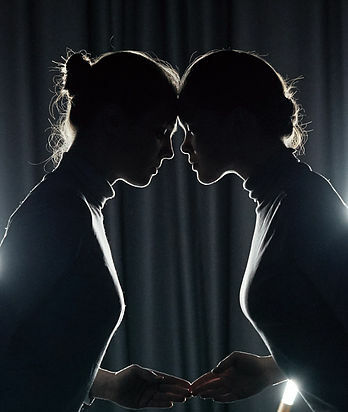 The work saw Inga and Rósa nominated for no less than three National Performing Arts Awards here in Iceland (Gríman), eventually winning the 'Best Choreographer' category.